My local wine merchant was in conspiratorial mood. ‘I have a couple of bottles under the counter. I can let you have them but, for goodness’ sake, don’t tell anyone where you got them.’ The release of a new vintage of Cloudy Bay Sauvignon Blanc still promotes these hush-hush, nudge-nudge conversations. Bottles of Cloudy Bay, whose first vintage was in 1986, are rationed like food coupons during the Blitz, despite the fact that New Zealand’s best-known winery reportedly makes more than 150,000 cases of its signature wine. Don’t mention it to the Kiwis, but the country’s most famous wine was actually created by an Aussies (David Hohnen) and a Brit (Kevin Judd), who saw the potential to make a world-class white wine in the sheep-grazing territory of Marlborough. The rest, as they say, is hysteria. Or would be if the wine were not so good. It is no exaggeration to say that Cloudy Bay did for Sauvignon Blanc what Bradley Wiggins has done for sideburns. The grape variety was performing well enough in the Loire Valley and Bordeaux, its two French homes, but most people didn’t know that white Graves, Sancerre and Pouilly-Fumé were made from Sauvignon Blanc. Messrs Hohnen and Judd changed all that. Overnight, it seemed, Sauvignon Blanc had become a well-known grape, up there with Cabernet Sauvignon and Chardonnay. Twenty-six years on, New Zealand rivals France as the home of the world’s best Sauvignon Blancs. The most intense, nostril-filling examples are still made in Marlborough by the likes of Jackson Estate, Montana, Blind River, Seresin Estate, Hunter’s, Vavasour and Villa Maria, but there are some very good examples from Martinborough, Hawkes Bay, Nelson and Central Otago, too. New Zealand Sauvignon is sometimes dismissed as a caricature of French Sauvignon, but it’s a lot more subtle and diverse than its critics would have you believe. The French are worried. Why else would one Loire-based company employ a New Zealand winemaker and label its wine ‘Kiwi Cuvée’ for the UK market. The challenge to the French Sauvignon crown has come from other countries, too. Hungary, believe it or not, has emerged as a really good producer of inexpensive Sauvignon. If you haven’t tasted them, the wines from the none-too-Hungarian-sounding Hilltop Winery are some of the best whites in Eastern Europe. South Africa is another country that has put down a marker in the Sauvignon stakes. The best names in the Cape are Cape Point, Thelema, Mulderbosch, Neil Ellis, Vergelegen, Strandveld, De Grendel, Diemersdal, Steenberg, Graham Beck and Klein Constantia. California is another good source, but only if you like wines that don’t really taste of Sauvignon. 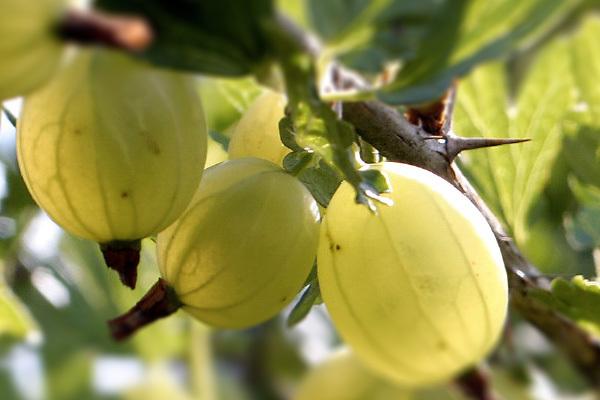 The cat’s pee and gooseberry characters that are all the rage in New Zealand are anathema to West Coast winemakers. They prefer something riper and less green, which is why they have come up with Fumé Blanc, an oak-aged or oak-fermented style that is closer to the dry white wines of Bordeaux than it is to Marlborough or Sancerre. Robert Mondavi makes a good one, as do Chalk Hill and Duckhorn. And then there’s Chile, where Sauvignon Blanc has now mostly replaced the inferior Sauvignon Vert. Chile’s whites are not quite as good as its reds, but the cool-climate Sauvignons coming out of the Casablanca Valley, Maule, the Aconcagua coast and Leyda are excellent. Look out for Casa Marin, Viña Leyda, Errázuriz, De Martino and Laberinto. There are even one or two good Sauvignons on the other side of the Andes in Argentina, namely Doña Paula and Finca Sophenia. For all that, France remains the home of Sauvignon Blanc. It is the grape behind the Loire Valley’s famous Sancerre and Pouilly-Fumé, as well as the lesser but often good-value wines of Reuilly, Quincy, Menetou-Salon and Sauvignon de Touraine. This is where you find the most assertive Sauvignons, wines with tingling acidity and intense, almost sharp flavours of gooseberries, minerals and stones. Not for nothing are the wines of Pouilly-Fumé often described as ‘flinty’. Leading producers include Vacheron, Alphonse Mellot, Didier Dagueneau (made by his son, Benjamin), Vincent Pinard and François Crochet. The other major source of French Sauvignon Blanc is Bordeaux. The best dry wines are made in the Pessac-Léognan area in the northern part of the Graves region. These are sometimes blended with Sémillon, but in the dry wines, at least, Sauvignon usually has the upper hand. The top names are Domaine de Chevalier, Carbonnieux, de Fieuzal, Haut-Brion and Smith Haut-Lafitte. Sauvignon Blanc also gets a walk on part in the sweet wines of Sauternes, Barsac and Monbazillac, but it’s as a dry wine that it performs best in Bordeaux. You might think otherwise if you drink basic Bordeaux Blanc, but the quality from merchants, such as Dourthe, is pretty good. Sauvignon Blanc’s greatest asset – or drawback if you find it too tart – is its pronounced acidity. It has sharper, more insistent flavours than most Chardonnay, which, by comparison, is generally as soft as an eiderdown. If you had to associate each grape variety with a colour, it would be green for Sauvignon Blanc. This explains the words that are used to describe Sauvignon’s flavours: gooseberries, cut-grass, nettles, asparagus, elder flowers and – a decorous pause while you reach for the sick bag – cat’s pee. Sauvignon Blanc does not have the same complexity as Chardonnay. This is because, in most cases, it is not fermented in barrel (the best way to add what the TV sports commentator David Vine used to call ‘that little bit extra’ to a white wine). The wines of the Graves region and Californian Fumé Blancs are Sauvignon’s two main splinter-friendly styles, although New Zealand has experimented with a few barrels in its time, including at Cloudy Bay. Some people argue that Sauvignon Blanc tastes best at its purest; add oak to the mix and you rob it of its greatest asset – its bouquet. Sauvignon’s natural acidity makes it a good food wine, especially if you’re eating something creamy and need a wine to slice through the richness. Sauvignon is also great with asparagus and salads, and as an aperitif, but I reckon it’s at its best with fish and seafood. The people living near the Loire didn’t plant Sauvignon by accident, you see. And neither, I can assure you, did those clever people at Cloudy Bay. TASTES OF: gooseberries, grapefruits and minerals, especially in the Loire Valley and, occasionally, tropical fruit in areas of the New World. SMELLS OF: elder flowers, nettles, cut grass, tomcats. GOES WITH: white fish and goats’ cheese, and makes good aperitif material. The barrel-fermented examples are great with white meat. COSTS: from £4.49 for a basic Chilean Sauvignon Blanc to £100 or more for a top white Bordeaux.